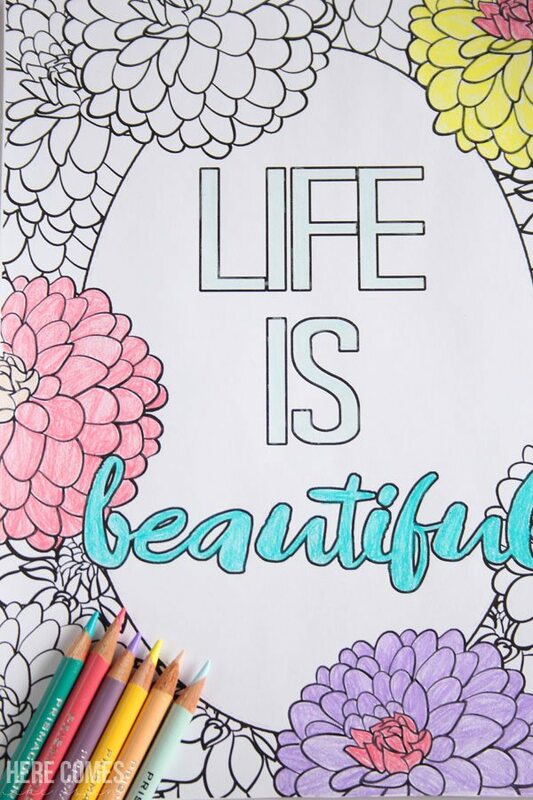 An adult coloring page printable perfect for relieving stress. 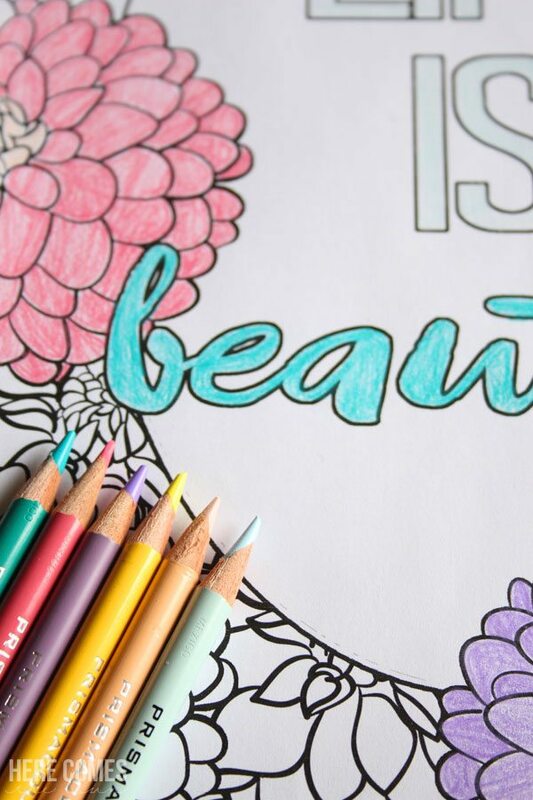 Have you hopped onto the adult coloring bandwagon? My daughter got some of these coloring books for her birthday and Christmas. I love them because she doesn’t just fly through them in a few minutes and she actually takes her time and does a really great job. 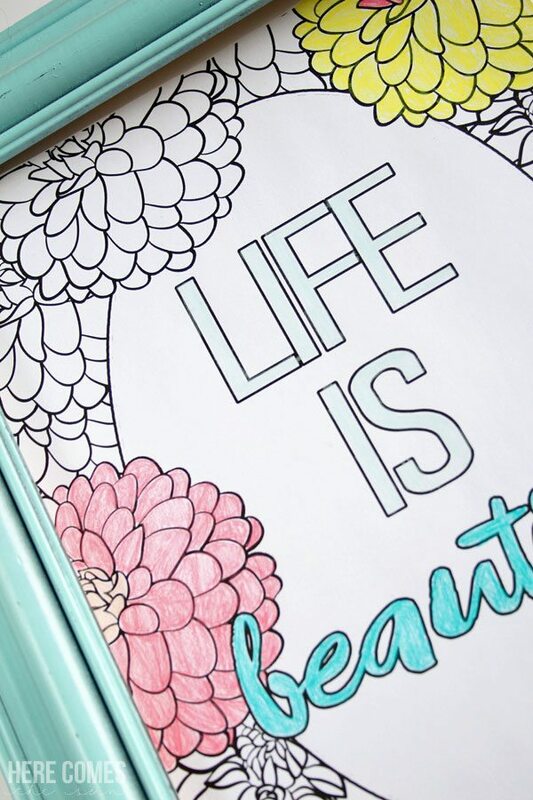 But coloring isn’t just for kids anymore. Adults love this trend too. It is so good for relieving stress and is very calming. 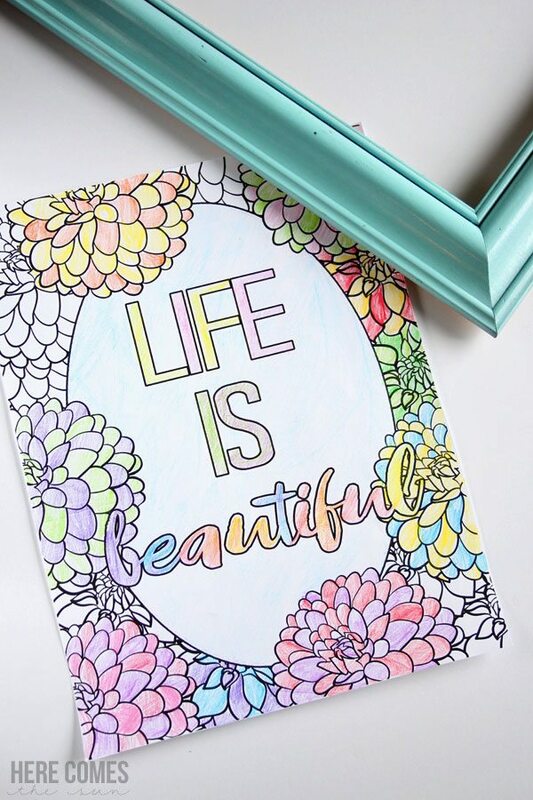 I love creating printables so I decided to try my hand at creating a new one based on the adult coloring trend. And since I am dreaming of Spring and warmer weather, I went with a floral theme but this page would work for anytime of the year. This is how mine turned out. I left a lot blank with a few pops of color. It’s so nice to just relax on the couch at night and color. 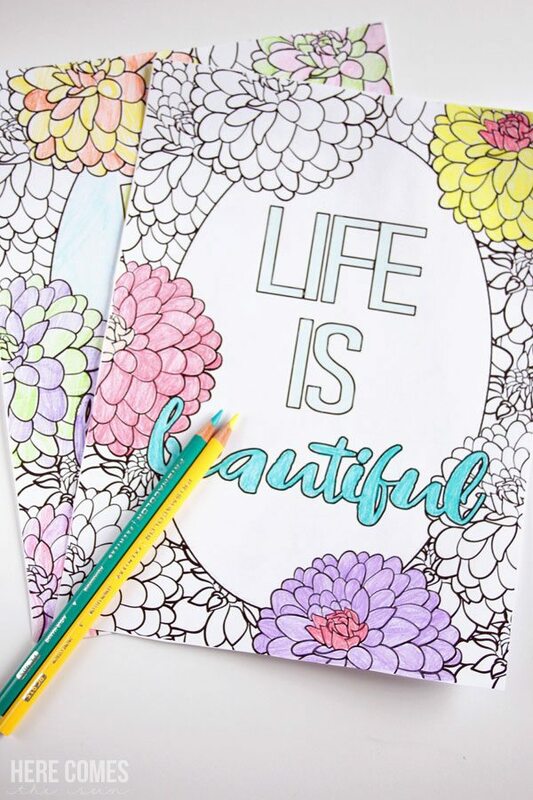 One thing that I love about adult coloring pages is that using different color combos can change the entire look of the page. If you are displaying this in the Summer, you can use bright and bold colors, for Fall you can use deep yellows and oranges and for Winter, you can use all blue. 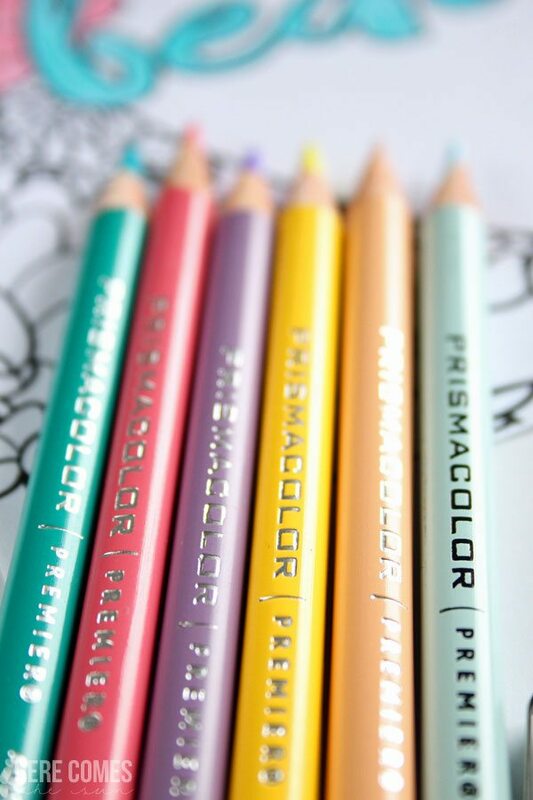 I found these great Prismacolor pencils on my recent trip to Michaels. I swear I could spend the entire day in that store. Anyone else like that? Hi, my name is Kelly and I’m addicted to craft stores. My daughter colored a print the other day and here is her masterpiece. And of course, I have a blank adult coloring page printable for you to download. 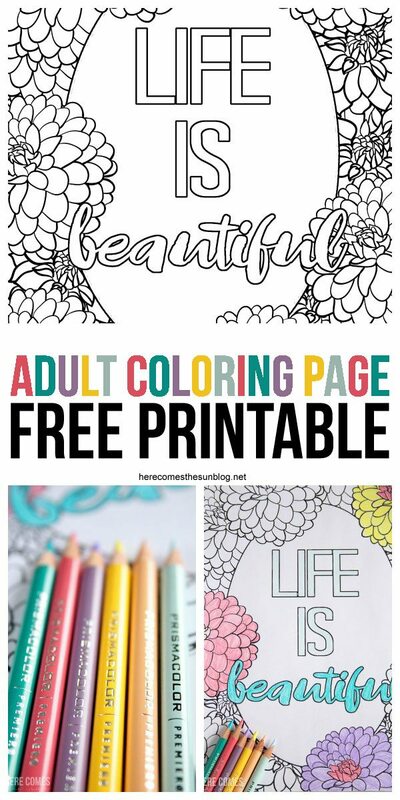 So print it out, sit down and get cozy and start coloring. 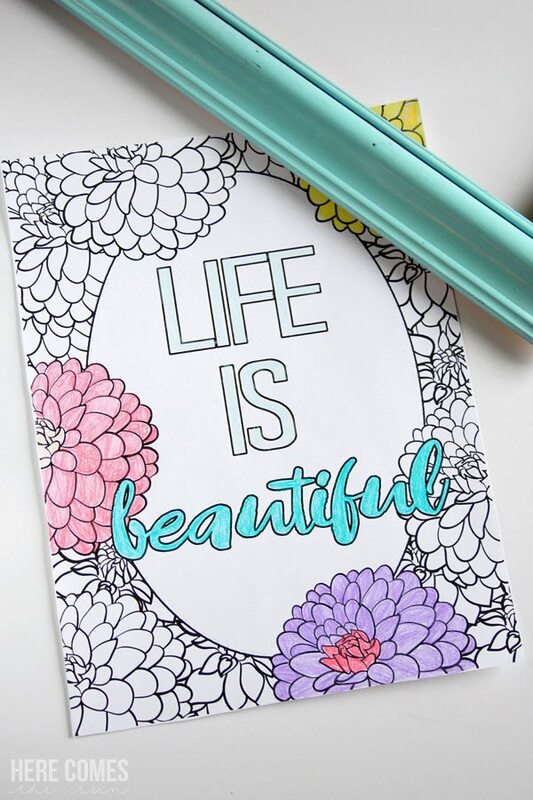 You can also Click here and select “free pages” to download your own free Prismacolor coloring pages! What colors would you use? Want more printables? You can check out my entire printable collection here.